Will EU Miss the Window of Opportunity to Deepen the EMU? In 2017, for the first time in five years, a rare opportunity opened to upgrade the euro area. With the election of Emmanuel Macron, UK's leaving and the good economic and fiscal conditions the reformist atmosphere of 2012 has returned. Back then a decision was taken to build a banking union. Five years later the spirits were even higher - for the first time there were conditions for much greater deepening of integration in the currency club without market pressure or the need to quickly find a solution to a severe crisis. The European Commission pointed out the need to continue the construction last spring but the presidential elections in France catalysed the process and a truly rare environment was created inspiring to dream about the future. Elections in Germany in September, however, threw cold water on the big expectations. The future of the euro area was supposed to be discussed at the autumn EU summit in Brussels but Mrs Merkel asked for more time as the coalition negotiations hit the rocks. The Commission pushed for a new momentum to be created before the winter EU summit in December which, at first, gave a weak outcome but, in fact, the subsequent developments show that success is much greater. One reason are the good news from Berlin where any time now a stable and strongly pro-European coalition is to be formed. However, it is still early for a celebration because in Italy there will be parliamentary elections on March 4, where too many eurosceptic forces stand chances to make it to government. This could again postpone the reform for a more distant and brighter future. What needs to be completed in the euro area? The most immediate problems are building the third pillar of the banking union - the European Deposit Insurance Scheme (EDIS); turning the permanent bailout fund of the euro area - the European Stability Mechanism (ESM) - into a full-fledged European Monetary Fund, part of the EU legislation; creating a common backstop to the Single Resolution Fund (SRF). These things are necessary to equip the banking union and the euro area with all the necessary tools in case of a new crisis. The Commission wants more, including creation of a European finance and economy minister, integrating the fiscal compact into the EU legislation, creating new budgetary instruments for a stable euro area, new instruments in support of the preparation of euro area accession for those who want to. The issue of reform of the euro area brought European Council President Donald Tusk (Poland, EPP) against Commission chief Jean-Claude Juncker (Luxembourg, EPP), just like on the issue of migration. The two have a different vision about how developments should unravel. On December 6, the Commission presented its long-awaited comprehensive package to upgrade the euro area, which contains familiar ideas. The aim was to combine all discussions so far - from the presidents' reports (first of the four presidents and then of the five) through the various national non-papers and white papers of the institutions. The first proposal in the Commission package is the establishment of a European Monetary Fund as part of the EU legal framework. Why is the latter so important? The idea of the Commission is the fund to be created on the basis of the ESM. The problem is, however, that the ESM is not part of the EU legislation. It has been created through an intergovernmental treaty in 2012 in the peak of the sovereign debt crisis in the euro area, because, at the time, there was no appetite for a Treaty change and such change was necessary to create the mechanism. In addition, such changes bore the risk of making the crisis even deeper. That is why it was decided to move on with an intergovernmental agreement which required just minor Treaty change, such that would not trigger referendums in the countries where a vote is mandatory. Through the years, the ESM has proved to be a very successful tool to keep financial stability in the eurozone. Initially, its role was to ensure funding for countries whose access to financial markets is cut or the price to buy new debt is too high. The ESM is selling bonds on the markets and is then giving the money to those who need them, predominantly Greece, in the form of loans with very low interest rates. In other words, the ESM served as a proxy between defaulting countries and the markets. The ESM was also using money from the euro area members. That is why it was natural the mechanism to develop into one of the major participants in the bailout programmes. The Commission believes that the ESM is the most natural basis for the future European Monetary Fund whose function will be to design rescue programmes and to monitor their implementation. In order for the process to be transparent and to ensure accountability the Commission insists the EMF to be part of EU legislation in the form of a regulation. Another role of the EMF will be to ensure a backstop for the SRF, which is a major part of the banking union. Do you remember the fiscal compact? The second proposal in the Commission package of December 6th is the incorporation of the fiscal compact into the EU acquis. This was a major reform of fiscal rules in the beginning of the crisis. This was the first big case when the newly inflamed euroscepticism in Britain blocked a large reform in the EU. In 2011, David Cameron's government vetoed the reform which demanded tighter fiscal policy and increased economic coordination so that the spill-over of problems from ailing countries to healthy ones is stopped in a growingly more integrated union. The British veto led to an intergovernmental treaty. At the time, a commitment was made the fiscal compact to be incorporated in EU legislation in five years. The deadline expired last year. The fiscal compact required of the 25 participating countries to vow to maintain responsible fiscal discipline at a very high legal level - the Constitution or another supreme law whose amendment would require great efforts. In February last year, the Commission published an implementation report which showed that all participating countries had implemented the provisions, although the power of implementation varies. Nevertheless, the incorporation into EU legislation emerged as a controversial issue. 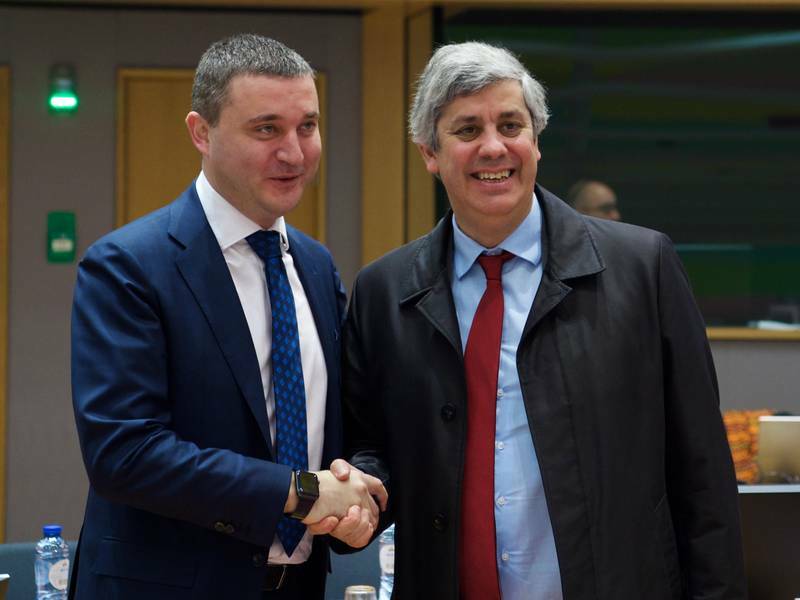 In October last year, in the European Parliament, there was a debate on the issue which showed that the discussion of fiscal rules is back to square one. According to the eurosceptic groups, the fiscal compact will open the door to loss of sovereignty. Leader of this opinion in the debate was the author of a draft resolution against the incorporation of the fiscal compact in the EU treaty Marco Valli, a MEP from the eurosceptic Five Star movement of Italian comedian Beppe Grillo. "If the governments confirm the fiscal compact it means that in the next 25 years the gross public debt will have to come down from 130% to 60% and that would mean really medieval approaches to pensions and labour rights. This is a pervert system of blackmail", he said. His opinion is not to be ignored given the quite real possibility the Five Stars to take part in Italy's future government this spring. Dariusz Rosati (EPP, Poland) also criticised the fiscal compact but for not being respected. "First, specific measures undertaken to comply with the fiscal compact vary from country to country, with different degrees of commitment and effectiveness. As a result, the budgetary situation in some member states has not improved despite a generally better macroeconomic environment and stronger growth", he said. Luděk Niedermayer (EPP, the Czech Republic) disagreed. According to him, the new rules are already delivering. Since 2014, the debt-to-GDP ratio has dropped as well as budget deficits. "The European Union is growing, unemployment has dropped down and employment is at an all-time high. People can say that it was too much of austerity; I would rather say it was a responsibility. Spending money that people do not have is not a good policy; sometimes it is a mistake, and sometimes it is even a crime. We can build on current results and not waste them", the Czech MEP added. Maria João Rodrigues (S&D, Portugal) raised another very important question. She recalled that with the fiscal compact member states committed the European Parliament chief to be invited every time a euro area summit is called. "Most of all, we need to make sure that, all through the process, Parliament will play a central role: when we discuss the reforms of the economic and monetary union, when we discuss the fiscal stance and when we discuss the recommendations for the euro area", she said recalling another commitment - to recognise the role of national parliaments. R. Daniel Kelemen, professor of political science at Rutgers University in New Brunswick, and Terence Teo, a Ph.D. Candidate in Political Science at Rutgers University, are of the opinion that, in fact, the fiscal compact is built on a wrong basis. It is influenced by the American balanced budget rules and the empowering of European and national courts to impose budgetary restrictions. The two researchers studied the American experience and found out that there is almost no case where balanced budgetary rules were enforced in court. What makes fiscal rules efficient is for them to be clear. The fiscal compact requires maintaining structurally balanced budgets allowing for some deviations in extraordinary circumstances. However, it is not at all clear what makes a circumstance extraordinary. Therefore, the rules are not clear, the researches believe. The Commission proposes the fiscal compact to be incorporated in the European legislation via a directive because this is the only legal possibility in the Treaty. The Commission also believes that the integration of the compact will lead to simplification of the legal framework. There is no possibility for the whole text to be incorporated, just the essence of Article 3. The Commission package contains also a sub-package of measures aimed at expanding the euro area and therefore its additional stabilisation. What is proposed is an instrument to support structural reforms which will assist countries that need structural reforms. Another instrument in the sub-package is a facility aimed at assisting economic convergence of countries wishing to join the eurozone. The third instrument in the package is the afore mentioned financial backstop for the banking union and the stabilisation function, which is something like an inception of a future euro area budget which is aimed at keeping investments level in case of large asymmetric shocks of the kind some countries went through during the debt crisis. This is one of the ideas in the presidents' reports - both the first and the second. With its proposal the Commission is simply dressing the idea into specific functions. The minister should hold a similar position as the high representative, which means being both a vice president of the Commission and a Eurogroup president. His or her tasks will be to coordinate and monitor fiscal policies in the member states and to assess whether they are in line with the fiscal rules; to assess the euro area fiscal stance and to balance between the fiscal interests of the capitals and the euro area at large. It is envisaged the minister to supervise the work of the European Monetary Fund. 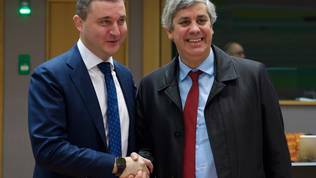 In its document, the Commission also proposes a roadmap, according to which it is possible by the middle of the year the necessary legal acts to be adopted to complete the banking union; to reach an agreement on a common financial backstop for the SRF; to adopt the financial instruments for reforms. By the end of 2018, the Commission believes, it is possible to adopt the proposal on EDIS, which will be reviewed in more detail below. By mid-2019, it is foreseen adopting the proposal to establish EMF; incorporating the fiscal compact; creating a single representation of the euro area in the IMF; reaching a common vision about the role of a finance minister; completing the talks on a euro area budget; completing the capital markets union. The Commission's renewed ambition was quelled by the European Council president who, before the December European Council, published his own view on how the upgrade of the euro area in the future should develop, based on what can in reality be achieved. According to him, the biggest risks at the moment are geopolitical tensions, growing protectionism, possible slowing down of the Chinese economy, the increased risk of volatility in the financial markets because of the abrupt corrections of exchange rates. He also writes that although there is an agreement in principle about the main objective there is disagreement on the timeframe. That is why he directed the discussion at the summit only toward proposals on which work is well advanced and agreement is possible. Therefore, on the summit agenda he put only three issues: creating a common financial backstop for the SRF; development of the ESM and its potential transformation into a EMF; completing the banking union. The creation of a euro area budget and a minister of finance, according to him, are issues on which there is no convergence of positions and therefore they will not be discussed. The talks on December 15th were not as heated as on the issue of migration but from the statements of leaders afterward it became clear that the differences regarding ambition are strong. In December, the good functioning of the Franco-German motor was much clearer. 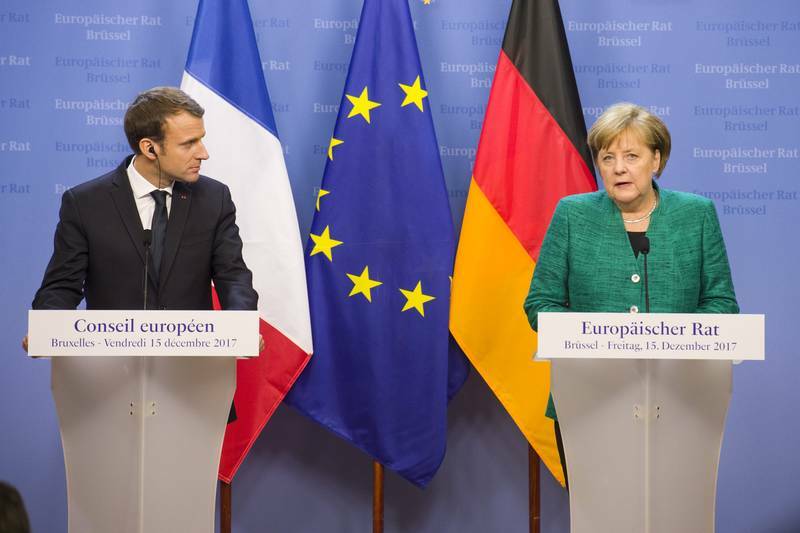 German Chancellor Angela Merkel said that the most important thing for building a genuine economic and monetary union is increasing competitiveness, investments in R&D, digitalisation. Emmanuel Macron believes that first of all a political and strategic discussion has to take place to establish what to be done in the euro area in the next 5 to 10 years, and in June to adopt a roadmap. Both agreed to coordinate their positions by March when the next euro area summit will take place. It will be again open for non-euro area countries. 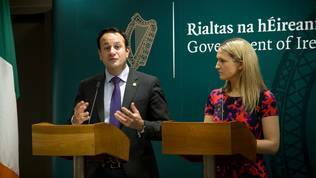 Irish PM Leo Varadkar was also quite active on the issue, saying that the moment is very good for deepening and enhancing the euro area. Of key importance is the building of a capital markets union because "We want people to be able to get their insurance in another country, to get their loans and mortgages from other countries. That would be good for consumers all round, and will put more pressure on the industry to provide better prices to people across Europe", he said. An important part of the upgrade of the euro area was the creation of a banking union. The first two pillars of it - the single banking supervision of systemically important banks and the single restructuring mechanism - were created relatively fast. What remains to be done is the third pillar - the European Deposit Insurance Scheme. Two years ago the Commission proposed the scheme but so far there is no progress. The reason lies in the deep ideological division. A part of the member states, led by Germany, insist, before moving on to this very significant integration step, to resolve the problem of risks in the banking sector, the so called risk-reduction. Another part of the member states (mainly the southern axis) insist risk-reduction to go hand in hand with risk-sharing, which is exactly what this scheme is all about. For a parallel work on these two fundamentals of the scheme urge also the Commission and the European Central Bank. In order to unblock the work on this very tough dossier, the Commission presented in October last year a paper proposing a gradual approach. In case of a default of a bank it will be the national deposit guarantee schemes which will come to rescue first. The common scheme will not intervene before the national ones have depleted their liquidity. In the first year (2019) the scheme will cover up to 30% of the liquidity shortage in the national schemes, in the second year (2020) 60% and in the third year (2021) 90%. The rest will be covered by the national schemes with the resources that had not been transferred to the European scheme during the phase of money collection. 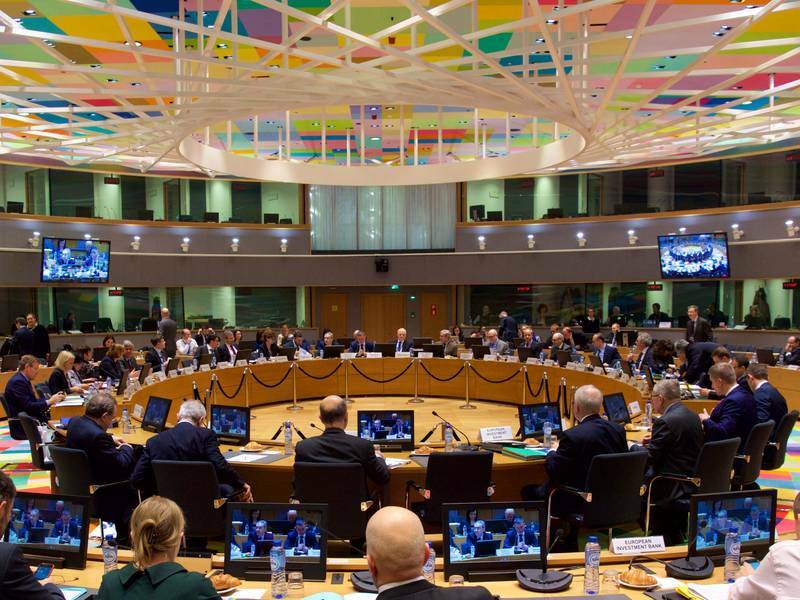 After the clash of priorities between the Commission and the European Council one can be left with the impression that the ambition has been significantly cut. It is not quite accurate, though. Indeed, there is no appetite now to discuss new institutional ideas like a minister of finance but, nevertheless, there has been a very serious breakthrough regarding the banking union. 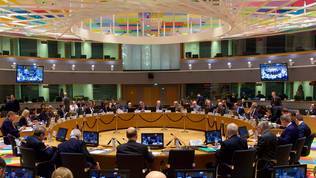 The issue of euro area future was on the agenda of the first Eurogroup this year and also of the first meeting of the EU finance and economy ministers (ECOFIN) under the presidency of Bulgaria. At this meeting, the German Finance Minister Peter Altmeier announced a significant turn in the German position. He proclaimed the completion of the banking union as the most important dossier at the moment and signalled that Germany is now ready to accept a combination of risk-reduction with risk-sharing. "We have spent a lot of time discussing what should come first but what we have to do now is - and I totally agree with Pier Carlo [the Italian finance minister] - we have to establish where we are, what has been achieved so far and I agree with you that more has been achieved than sometimes is known in the public debate", he said and invited the Commission to prepare a report on what has been achieved so far in terms of risk-reduction. About what has been achieved in this area spoke ECB deputy governor Vitor Constancio. He reported that the tier 1 capital of banks is now 14% from 8% in the past. Secondly, significant reduction has been achieved of private sector indebtedness in the past years. One of the biggest legacies of the crisis is the level of non-performing loans (NPLs). They have dropped from 8% of total credit to 5.5%. Vitor Constancio added that it is very difficult to quantify risk-reduction but recommended new goals to be defined. 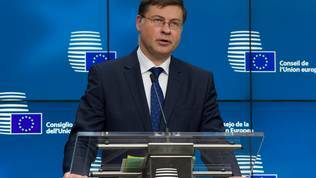 Later, before journalists, Commission Vice President Valdis Dombrovskis (Latvia, EPP), responsible for the euro, said that the share of NPLs in EU has been reduced by one third, which amounts to 300 billion euros. In mid-2017, their share was 4.6%. Significant is the progress in Italy, Spain, Portugal and Slovenia. There has been a change of position in France too, whose Finance Minister Bruno Le Maire focused on the need to reduce risk. Moreover, he warned that more attention was still needed on sovereign debt. Peter Altmeier spoke in much detail and his statement was definitely a symbol of the end of Wolfgang Schaeuble's era in ECOFIN and the Eurogroup. He said that risk-reduction cannot happen in 2-3 weeks. The compromise proposed by Germany will surely unlock work on the banking union and will allow it to be completed within the deadline set by the institutions. One of the very interesting statements during the debate in ECOFIN was that of Greek Finance Minister Euclid Tsakalotos. He spoke from the position of a minister of a country which came a long way in its rescue from the crisis that served as a catalyst for euro area reform. With his typical, slightly theoretical approach, presented via his exquisite English accent, Euclid Tsakalotos explained that the concept of "risk-reduction first and only then risk-sharing" is wrong. "Risk-sharing is not what you do if a crisis happens. Risk-sharing also helps to prevent that crisis from happening. That is why I support those who think that we should go together". Tsakalotos continued that the problem with economies in a crisis is that it is very difficult to separate what is happening in the real economy from sovereign risk and financial risk. "Those things are integrated. And that's why those who argue for fiscal capacity have an understanding, in my view, much better of how monetary unions work. You just cannot isolate a particular country in a financial crisis and not affect the economic conditions of the real economy", he said. The Greek finance minister also contested the thesis of moral hazard in a common budget. This is practically an insurance and it would be crazy to prefer not to give 5 million for insurance and lose later 15 million, Mr Tsakalotos said. Regarding ESM, the German finance minister does not see a contradiction between the mechanism and the community legislation, but he left the debate open, hinting he is ready for a compromise on this issue too. Finland, however, was firmly against the integration of the ESM in European legislation because it believes this would make the entire structure much more complex and less flexible. Finland prefers the ESM to remain an intergovernmental institution. The finance ministers meeting on January 23 marked also one of the front lines in the battle on the next multiannual financial framework. During the discussion, Poland said it agrees with all proposals but established a link with keeping the EU cohesion policy as the main investment instrument in the Union. 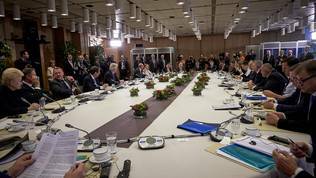 Poland was concerned that the EU summits move within the intergovernmental sphere. Mihaly Varga, the Hungarian minister of national economy, said Hungary will approve the proposals under the condition that there is an equal treatment in the negotiations and decision-making. He also underscored how important keeping the cohesion policy is. This might suggest that these growingly eurosceptic and opportunistic states will use the work on euro area upgrade as a leverage to extract benefits, like keeping the size of the cohesion policy. This portends to very unpleasant talks and even more unpleasant outcome. 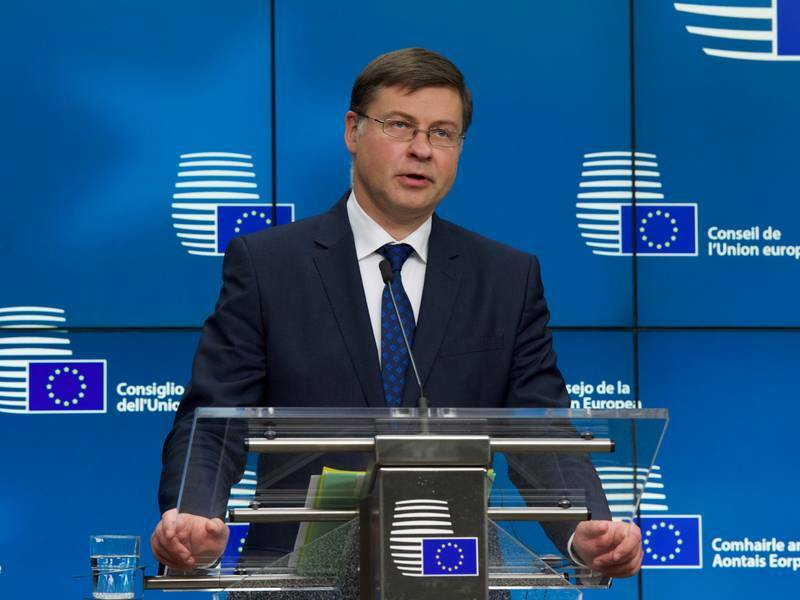 The two countries welcome in principle the new Commission proposals for financing reforms that prepare for euro area membership but they have not yet stated their intentions on joining in the near future. The next 6 months, until one of the deadlines on Donald Tusk's roadmap, ministers will work for risk-reduction in the banking sector, the development of a capital markets union, fighting aggressive tax planning. The Bulgarian Finance Minister Vladislav Goranov said that ministers have tasked the working groups to begin work. Regarding the fiscal compact he said more work was needed. 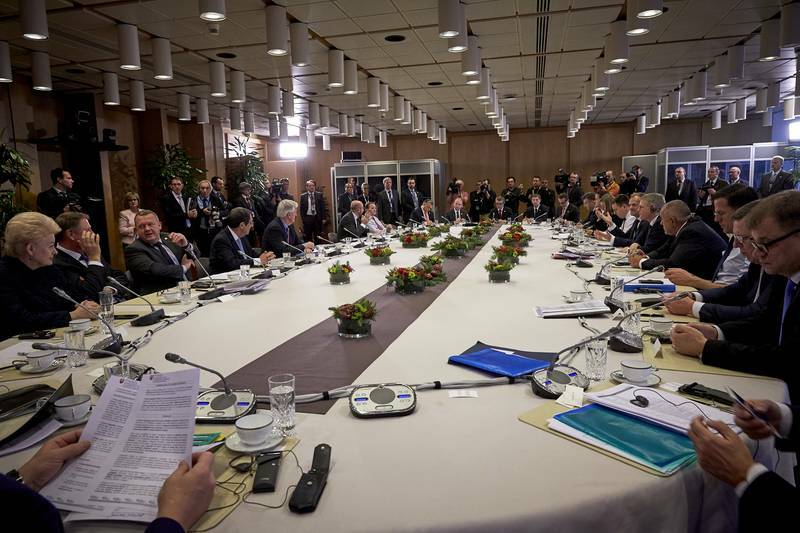 The EMF, for now, remains within the Eurogroup domain. EU Economic Affairs Commissioner Pierre Moscovici (France, S&D) urged against any of the proposals to be thrown away, and called instead to discuss all of them. 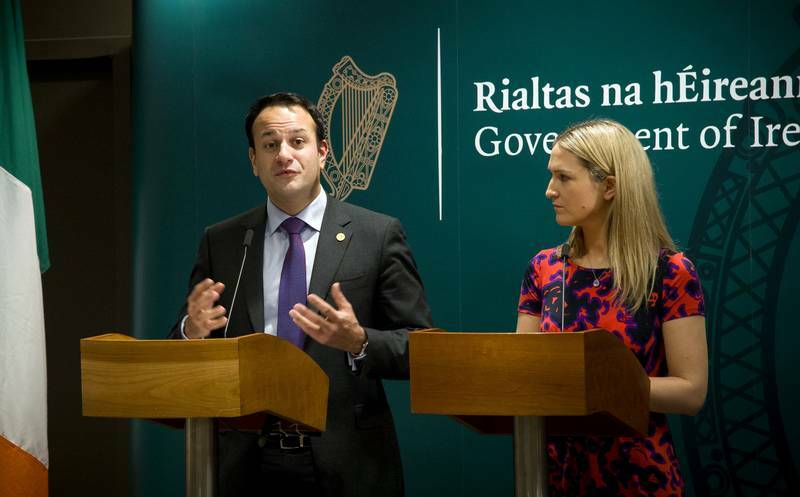 "We cannot accept that this point [of fiscal stabilisation] is not discussed. It would be a mistake to avoid discussing that and put the Commission proposal aside. The logical way to proceed is substance first and legal form later", he said. For now, the road ahead of an upgrade of the eurozone remains open. The question is whether it will still remain open after the parliamentary elections in Italy on March 4th. news Normalisation of Growth in the Euro Area or Dark Clouds?